Baruch sheAmar: Is it הַמְהֻלָל בְּפִי עַמּוֹ or הַמְהֻלָל בְּפֶה עַמּוֹ? 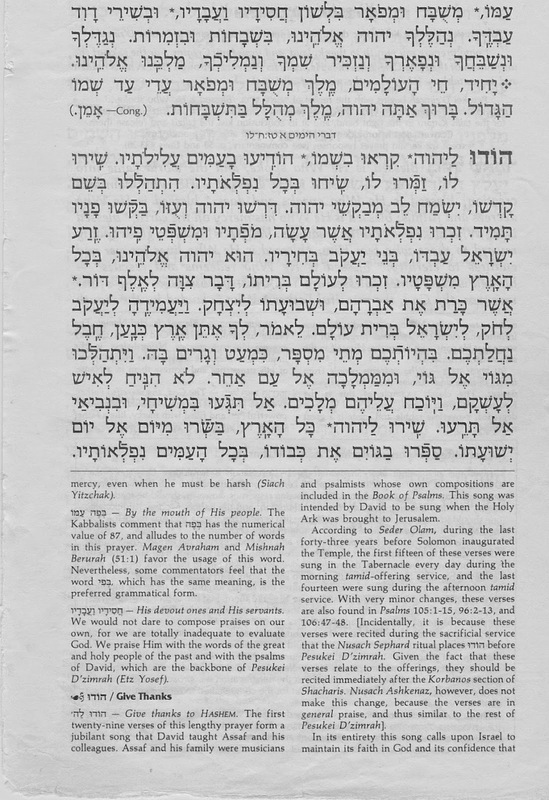 In the tefillah of Baruch sheAmar, there are two variant nuschaot to convey the idea that Hashem is "lauded by the mouth of His people". One is הַמְהֻלָל בְּפִי עַמּוֹ and the other is הַמְהֻלָל בְּפֶה עַמּוֹ. On the level of pure dikduk, the obvious choice is בְּפִי עַמּוֹ. After all, Hebrew nouns come in two flavors, absolute and construct. Peh is the absolute form and means simply "mouth", which Pi is the construct form, and means "mouth of". Since the blessing refers to the mouth of Amo, "His people", it is the construct form, and so Pi is the grammatically correct selection. Siddur Shiloh, the siddur I grew up with, has it as בְּפִי. Artscroll, following several halachic and kabbalistic sources, has it as בְּפֶה. בְּפֶה עַמּוֹ -- By the mouth of His people. The Kabbalists comment that בְּפֶה has the numerical value of 87, and alludes to the number of words in this prayer. Magen Avraham and Mishnah Berurah (51:1) favor the usage of this word. Nevertheless, some commentators feel that the word בְּפִי, which has the same meaning, is the preferred grammatical form. They could have done a better job in explaining the awkwardness of בְּפֶה, rather than just saying it has the same meaning but is the preferred grammatical form. It might have also been nice to point out which commentators say that בְּפִי is preferred. Conversely, one could nicely emphasize the idea that this makes the prayer self-referential. That is, הַמְהֻלָל בְּפֶה עַמּוֹ means that He is praised by the 87 of his people, meaning by this Baruch sheAmar blessing we are saying right now, rather than being a reference to pesukei deZimra, the selections of praises upon which this blessing was indeed instituted. To make the emphasis on the gematria of 87 more understandable, one could point to sefer Heichalot, cited by the Tur ad loc. (As background, I would point out that there is a problem in that one cannot establish a post-Talmudic blessing, yet this is precisely what Baruch SheAmar is. The following origin story neatly resolves the issue.) 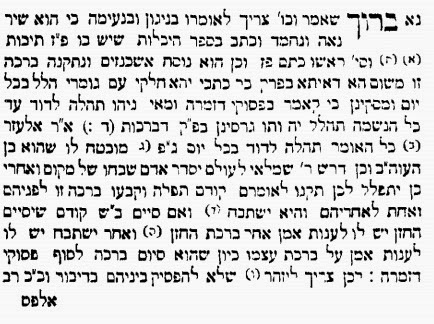 Sefer Heichalot states that prayer was actually composed by the Anshei Knesset HaGedolah, and at the right time, a petek (slip of paper) descended from On High with the 87 words written on it. This corresponds to (Shir HaShirim 5:11) רֹאשׁוֹ כֶּתֶם פָּז, "his head is as the most fine gold". (And recall that this is the head of pesukei deZimra.) And indeed, the Tur states, in the Ashkenazic version, notes the Tur, there are precisely 87 words. From the wording of the Tur, we can infer that in the non-Ashkenazic version, there were not 87 words, such that the reference to רֹאשׁוֹ כֶּתֶם פָּז would not work. And, if the text somehow said הַמְהֻלָל בְּפֶה עַמּוֹ, it would not make any meaningful allusion to the prayer itself. 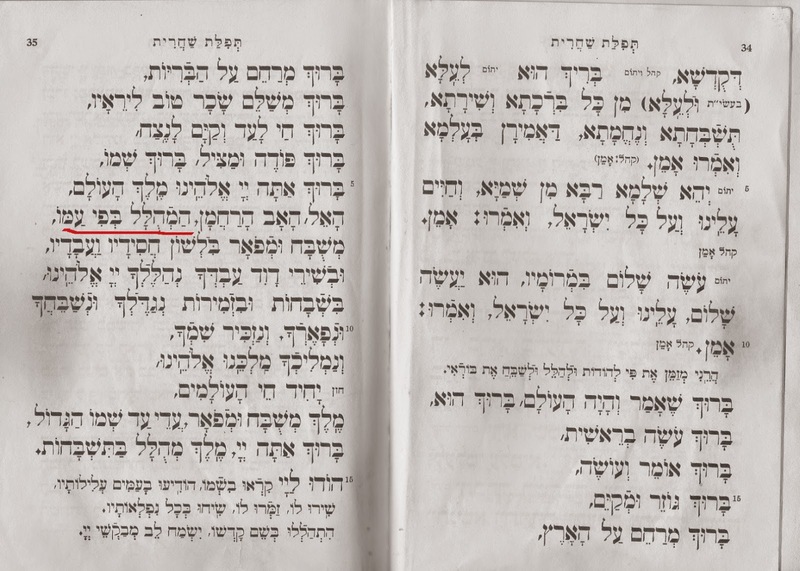 Also, the strange, not-so-grammatical wording of הַמְהֻלָל בְּפֶה עַמּוֹ would have been something we would fully expect the Tur, Rabbi Yaakov ben Asher (Cologne, 1270 - Toledo c.1340) to have noted, because its grammatical awkwardness stands out and it is relevant connection with these 87 words. This suggests to me that even in his days, the Ashkenazic text had בְּפִי. The Abudraham (1350) also has בְּפִי. בָּרוּךְ שֶׁאָמַר וְהָיָה הָעוֹלָם, בָּרוּךְ הוּא. בָּרוּךְ אוֹמֵר וְעוֹשֶׂה, בָּרוּךְ גּוֹזֵר וּמְקַיֵּם; בָּרוּךְ מְרַחֵם עַל הָאָרֶץ, בָּרוּךְ מְרַחֵם עַל הַבְּרִיּוֹת; בָּרוּךְ מַעֲבִיר אֲפֵלָה וּמֵבִיא אוֹרָה, בָּרוּךְ מְשַׁלֵּם שָׂכָר טוֹב לִירֵאָיו. בָּרוּךְ שְׁאֵין לְפָנָיו, לֹא עַוְלָה וְלֹא שִׁכְחָה, לֹא כָזָב וְלֹא מִרְמָה, לֹא מַשּׂוֹא פָנִים וְלֹא מִקַּח שֹׁחַד. בָּרוּךְ אֵל חַי לָעַד, וְקַיָּם לָנֶצַח. בָּרוּךְ אַתָּה יְהוָה אֱלֹהֵינוּ מֶלֶךְ הָעוֹלָם, הָאֵל הַמְהֻלָּל בְּפִי עַמּוֹ, מְשֻׁבָּח וּמְפֹאָר בִּלְשׁוֹן כָּל חֲסִידָיו וַעֲבָדָיו; וּבְשִׁירֵי דָוִיד בֶּן יִשַׁי עַבְדְּךָ מְשִׁיחֶךָ, נְהַלֶּלְךָ יְהוָה אֱלֹהֵינוּ בִּשְׁבָחוֹ וּבְזִמְרוֹ, נוֹדָךְ נְשַׁבְּחָךְ נְפָאֲרָךְ נַמְלִיכָךְ, נַזְכִּיר שְׁמָךְ מַלְכֵּנוּ אֱלֹהֵינוּ יַחַד. יָחִיד, חֵי הָעוֹלָמִים, מְשֻׁבָּח וּמְפֹאָר, עֲדֵי עַד שְׁמוֹ. בָּרוּךְ אַתָּה יְהוָה, מֶלֶךְ מְהֻלָּל בַּתֻּשְׁבָּחוֹת. There are also 103 words, rather than 87. See Magen Avraham, who says it is בפה, here. Rabbi Yechiel Michel Epstein, in Aruch HaShulchan, Orach Chaim 51:2, writes similarly. The Nusah of "בפה עמו" is Kabbalistic. The Ben Ish Hai mentions it (in אות ז), quoting the ספר הכונות, which is synonymous with the פרי עץ חיים, which I found here (see ד"ה אך יש). So, the Arizal (1534-1572) and Rav Chaim Vital (1543-1620) may be behind establishing this changed nusach, at this late date. Alternatively, it preexisted them and existed for kabbalistic reasons or non-kabbalistic reasons. ג וַיְעַנְּךָ, וַיַּרְעִבֶךָ, וַיַּאֲכִלְךָ אֶת-הַמָּן אֲשֶׁר לֹא-יָדַעְתָּ, וְלֹא יָדְעוּן אֲבֹתֶיךָ: לְמַעַן הוֹדִיעֲךָ, כִּי לֹא עַל-הַלֶּחֶם לְבַדּוֹ יִחְיֶה הָאָדָם--כִּי עַל-כָּל-מוֹצָא פִי-ה, יִחְיֶה הָאָדָם. 3 And He afflicted thee, and suffered thee to hunger, and fed thee with manna, which thou knewest not, neither did thy fathers know; that He might make thee know that man doth not live by bread only, but by every thing that proceedeth out of the mouth of the LORD doth man live. Note the words motza fi Hashem. There is no dagesh in the letter פ of פי. Even though in general, the letters beged kefet at the start of a word gets a dagesh, if the previous word ends in an open syllable, meaning that it ends in a vowel rather than a consonant, and the trup on that previous word is the joining kind of trup (as in this case, a mercha) rather than the dividing kind, then the beged kefet does not get a dagesh. "מוֹצָא פִי-ה -- 'every beged kefet which follows the letters yud heh vav or aleph [that is, an open syllable] is fricative [without a dagesh], except for the exceptions. And many of them have a dagesh for the improvement of reading, such as this one, for it is not possible to say fi immediately prior to the [Divine] Name, for it is a disparaging language in French, and [Heaven] forfend to apply this to Hashem Yitbarach.' End quote, that which I have found. ד וְיָשְׁבוּ, אִישׁ תַּחַת גַּפְנוֹ וְתַחַת תְּאֵנָתוֹ--וְאֵין מַחֲרִיד: כִּי-פִי ה צְבָאוֹת, דִּבֵּר. 4 But they shall sit every man under his vine and under his fig-tree; and none shall make them afraid; for the mouth of the LORD of hosts hath spoken. where it is a fricative." What we see from here is that there was an opinion that one should modify this and other instances of fi to avoid disparaging Hashem when reading the Torah. And Minchas Shai disagreed with that approach. late 13c., possibly from Old French fi, exclamation of disapproval, and reinforced by a Scandinavian form (compare Old Norse fy); it's a general sound of disgust that seems to have developed independently in many languages. This would then explain the development of the variant text of הַמְהֻלָל בְּפֶה עַמּוֹ in an utterly non-kabbalistic manner. That is, how could one possibly say that Hashem was praised by the fi of his nation? Fi is a term of disparagement! And so, just as certain Jews did this even for certain instances in reading the Torah, they did so as well for the places it occurred in prayer. Except rather that putting the dagesh in the letter פ, they simply changed it from construct form פי to absolute form פה. What of the fact that there is a kabbalistic basis, and the tie-in to the gematria corresponding the number of words? I would answer that there are two different types of kabbalistic explanations for nusach and practice. One is an origin. Some practice was established by kabbalists, for kabbalistic reasons. The other is an explanation for existing practice. In such a case, the practice already exists, for practical or halachic reasons, and a kabbalist looks at it through the lens of kabbalah and shows how it is significant and meaningful. I would suggest that we are dealing here with the second kind of explanation. 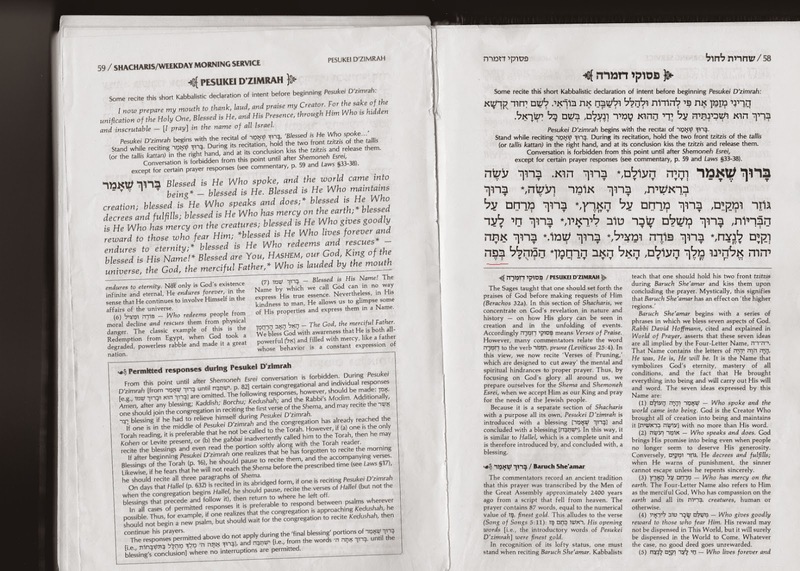 Naftali Weider discussed fi/fe in his article on influences of non-Hebrew words on the liturgy. The bibliographic details are here. I don't have a scan of it so I can't send it to you, although a summary of his conclusions can be found here. The article is titled תיקונים בנוסח התפילה בהשפעת לשונות לועזיות, and it is possible to see a summary and possibly even view that article here. So indeed, the changed nusach preceded the Arizal, and extended across more of the liturgy, all instances of befi, including in the piyut of Keil Adon we say on Shabbat, which begins אל אדון על כל המעשים, ברוך ומבורך בפי כל הנשמה. In terms of practice, how should one conduct oneself? I would say as follows. I am not a kabbalist, such that I would change from the grammatically correct, or preferred, for kabbalistic reasons. Maybe one can justify the kvetch in grammar by saying that on occasion, Hebrew will use mere apposition to express the construct form, but why go there? Further, as yaak pointed out, the changed nusach is actually counterproductive. In Yiddish, and in English as a derivative, it is "Feh!" that is a note of disgust or contempt, while the grammatical Fi (with a chirik) has no such connotation. It makes sense to prefer בפי. And since I grew up on Siddur Shiloh, and have always been somewhat ambivalent of which one to use, I would say בפי. On the other hand, בפה is your existing custom, there might be issues with changing it. Consult your local Orthodox rabbi. At the end of the day, though, it doesn't really matter. רחמנא ליבא בעי. It is our hearts, and intent, which Hashem wants. If you said something which was ultimately ungrammatical but justified by halachic works and by minhag, and you meant "the mouth of His people", then it is not the end of the world. You davened in a legitimate manner, and Hashem is not a pedantic grammarian who will reject your tefillot because of this.